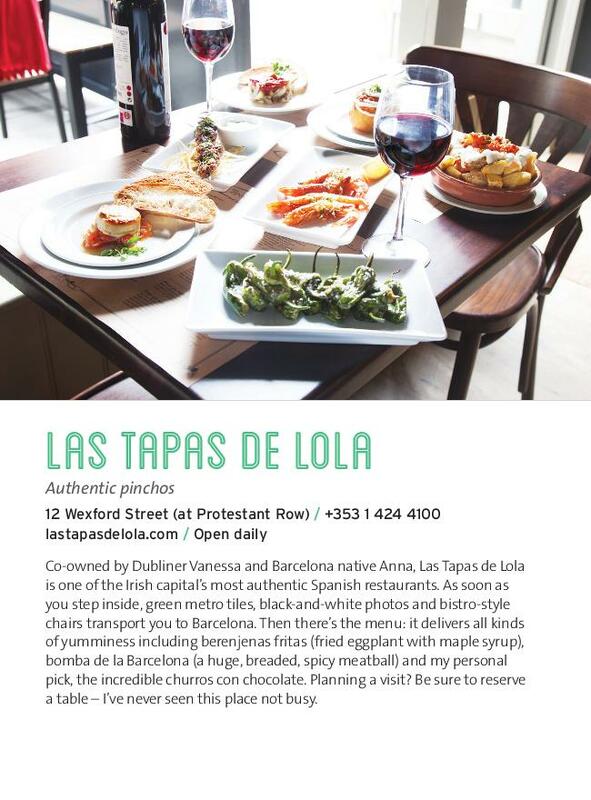 "Co-owned by Dubliner Vanessa and Barcelona native Anna, Las Tapas de Lola is one of the Irish capital’s most authentic Spanish restaurants. As soon as you step inside, green metro tiles, black-and-white photos and bistro-style chairs transport you to Barcelona. Then there’s the menu: it delivers all kinds of yumminess including berenjenas fritas (fried eggplant with maple syrup), bomba de la Barcelona (a huge, breaded, spicy meatball) and my personal pick, the incredible churros con chocolate. Planning a visit? Be sure to reserve a table – I’ve never seen this place not busy."